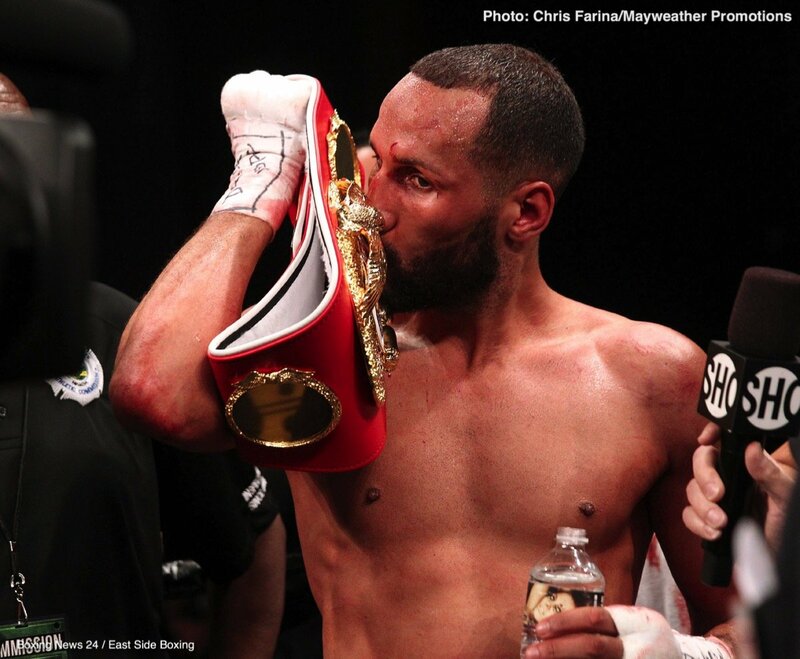 In a move that has come as quite a surprise, James DeGale has vacated the IBF super-middleweight title he fought so hard to regain from Caleb Truax back in April. The British southpaw was upset by Truax last December and he was seemingly desperate to regain his title. Now, having done so, “Chunky” has dropped the belt. Of course we most now wait and see who DeGale may fight next, and just what the “very big and exciting news” is, but there are whispers that say DeGale will face Billy Joe Saunders on September 15. Unbeaten Saunders, the reigning WBO middleweight champion, is reportedly keen on moving up in weight to challenge DeGale. Also a possible plan for the future for DeGale, 24-2-1(14) is a fight with the winner of the WBSS 168 pound final between fellow Brits George Groves and Callum Smith. If DeGale could defeat Saunders and Groves/or Smith, he would indeed add much to his legacy as one of British boxing’s best of recent years.